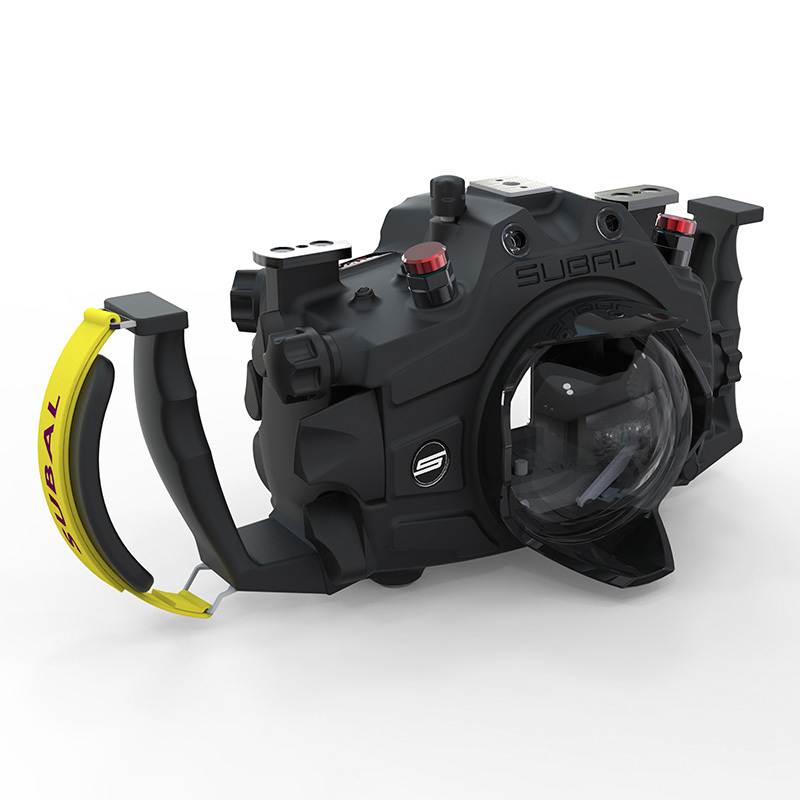 Subal has unveiled their new underwater housing for the Olympus OM-D EM1 Mark II camera. 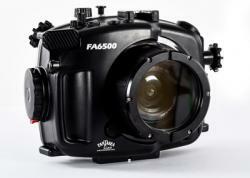 The camera features a 20 Megapixel sensor, 18fps continuous RAW shooting and a 4k video. As for the housing features, it is milled from a solid aluminum block which ensures you a durable housing. It has been treated and finished with powder coat paint. 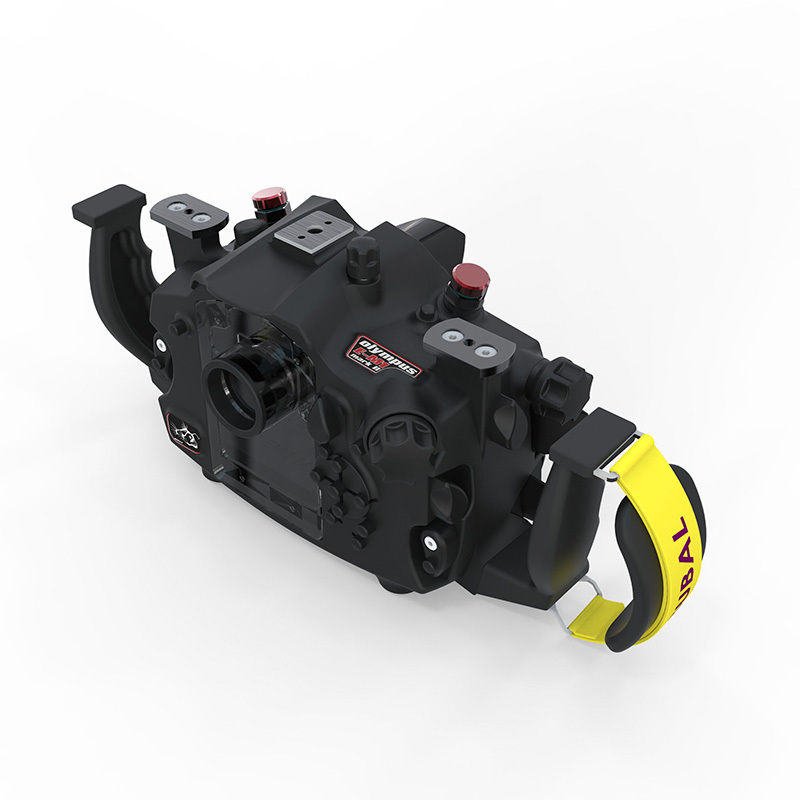 The housing also features Subals new locking system but still compatible with their previous Type 3 port system. 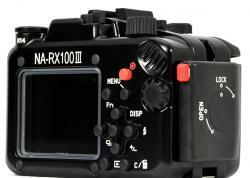 All camera functions can be accessible with the housing and ergonomically designed button placement. The housing Olympus EM1 Mark II provides access to all functions of the camera. The ergonomic SUBAL design and arrangement of all important elements of the housing allows the camera an easy operation without letting go of the handle. The camera is mounted on a special sled, to mount the camera with precision in the housing, this allows a more faster and secure mounting. A 4 mm O ring and the NEW SUBAL locking system, prevents accidental crushing of the O-ring, and ensures maximum safety. Threaded holes at the base allow attaching Rails etc. Pilot lights can be attached or mounted to the top shoe. 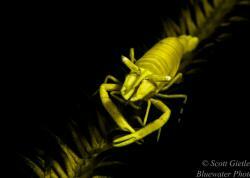 The monitor window provides a glare-free and high-contrast insight on the camera monitor. Material selection, processing, surface protection and finish conform to the usual standard level of quality that is all the SUBAL products. 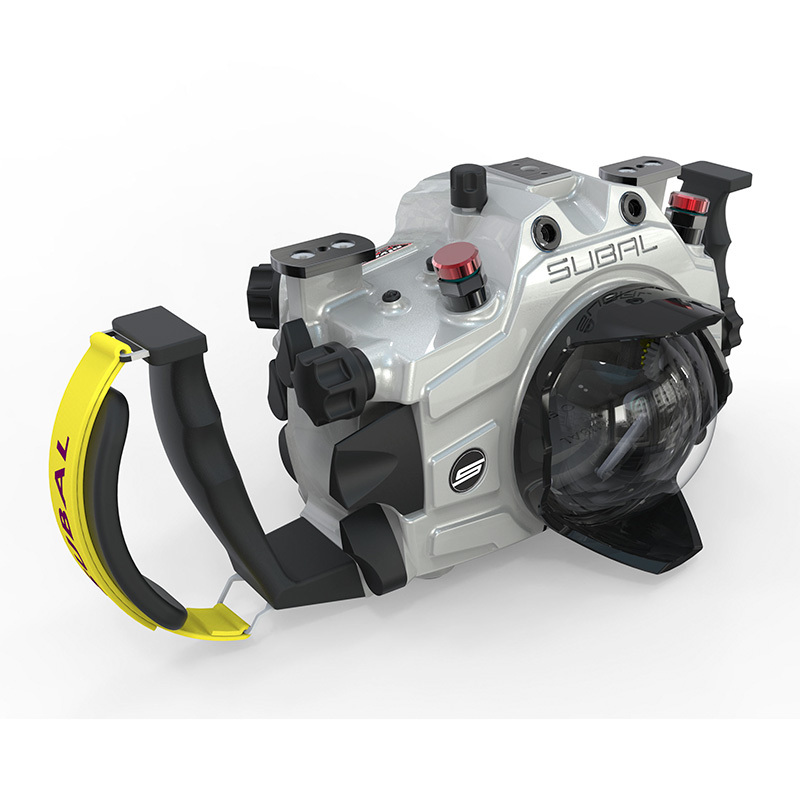 SUBAL offers for this housing model 3 different viewfinders: the standard viewfinder slimmed reduces the viewfinder image, so that it can fully overlook despite diving mask. The GS 180 and the 45° viewfinder offer a viewfinder in size approximately corresponding to the camera's viewfinder, with the insight of the GS-180 horizontally, the insight of the WS-45 under 45°. All SUBAL ports with bayonet mount 3 on this case can be used. Seawater resistant aluminum alloy worked from the block. Hard Coating and corrosion treatment is applied to the surface of the housing. In addition 3 layers of powder coating paint is applied to give the housing the Subal color and unique finish. All parts are made of hard-anodized light alloy, acid-resistant stainless steel and high quality plastics, to endure all working conditions. NEW SUBAL locking system. All functions of the camera can be operated. 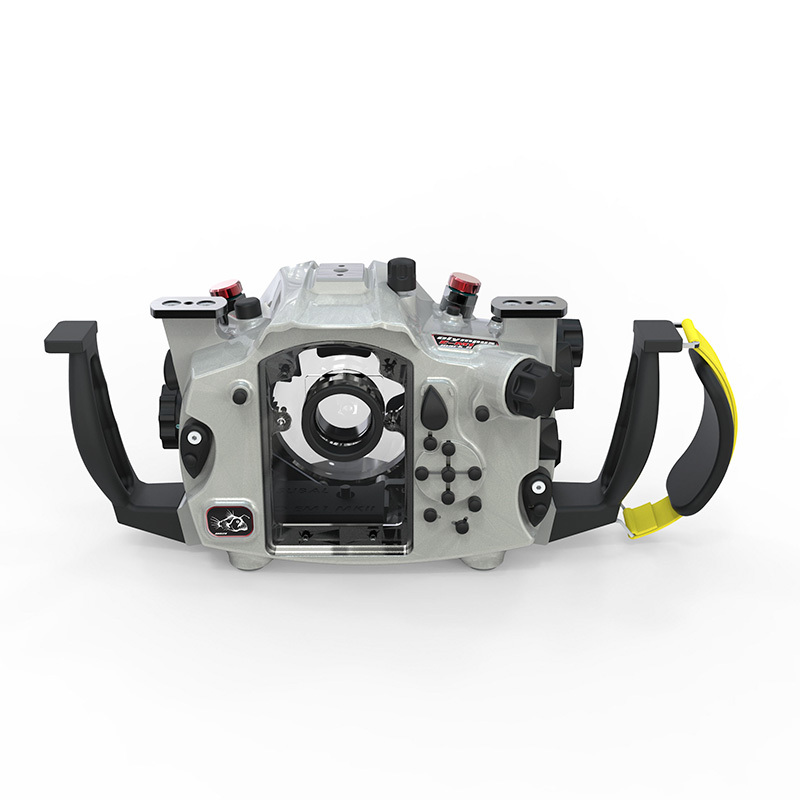 In particular: main switch/backlight, shutter, zoom (manual focus), front and rear main dial, lens release, focus mode (M-S-C), AF mode, metering, operation voters of types of, AF-lock, AF-ON, port-lock, photo/video switching.